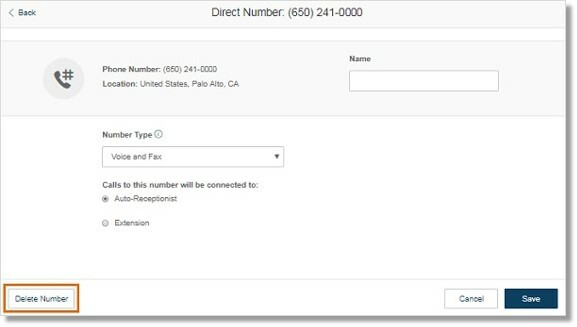 Account Administrators can add phone numbers on the Office@Hand Online Account. 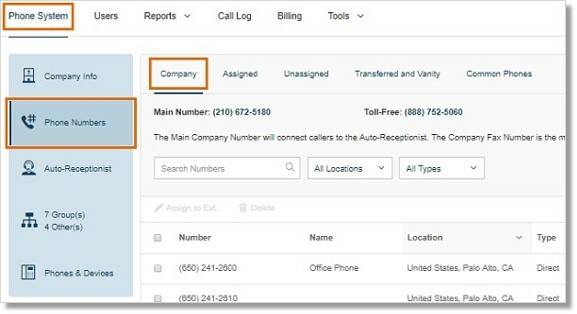 It can be done on the Admin Portal > Phone System > Phone Numbers > Company tab. 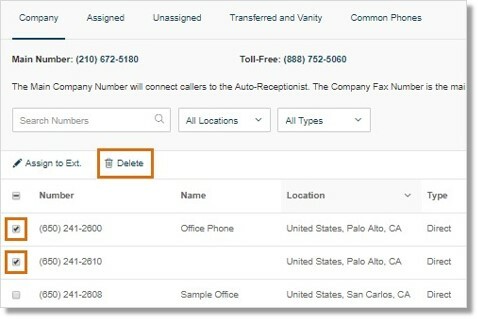 Deleting phone numbers from your Office@Hand account can be done by an Account Administrator. Go to Phone System > Phone Numbers > Company tab. Click Delete across the number that needs to be deleted. You can also click the Number that needs to be deleted, then click Delete Number on the information page. To delete several numbers, select the numbers to be deleted, then click the Delete button. A confirmation window appears. Click Yes to completely delete the number.